I picked up what little I know about screen-printing from Mama's Sauce at Creative South. There I was able to pull the second color on a poster they had prepared for us. They taught us well, but spoiled us big time. We didn't even have to clean up after ourselves. A few weeks later I took DKNG's Skillshare class on designing for screen-printing. 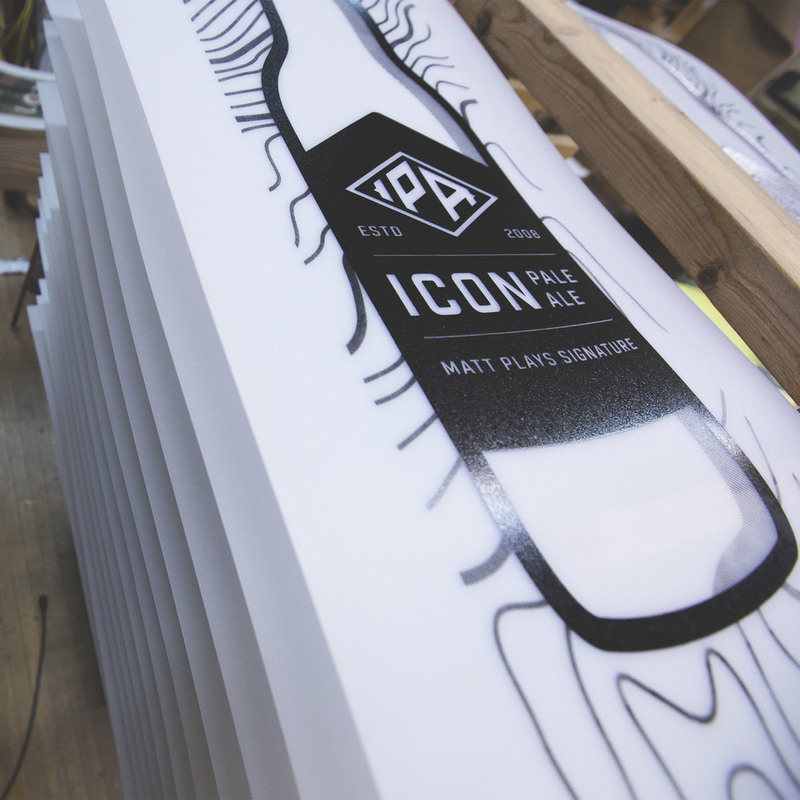 I learned enough to consider it a good idea to screen-print the 2015 Icon Snowskates line. Printing on the underside of a semi-transparent base is a bit different from printing on posters. For one, you'd print from dark to light and start with the keyline. The awkward side-stanced 3-foot pull made things interesting, as well. Despite our inexperience, everything turned out well. Huge thanks to my press buildin' father and our screen-printing buddy, Jeremy.